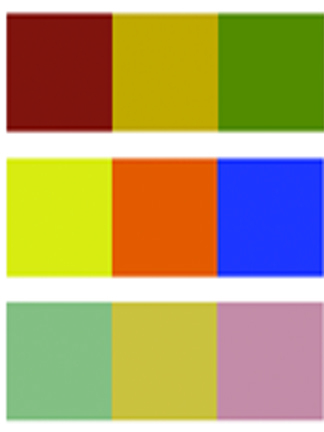 artSparx.com - Gilder's Tip brushes. For picking up loose gold leaf and transferring to the object being gilded. Gilding Walls. 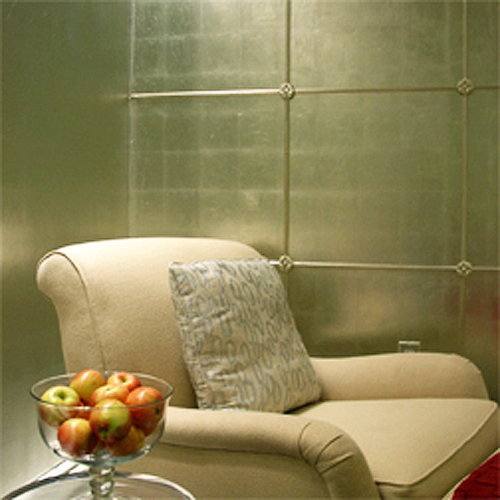 Applying Genuine Gold leaf or Metal leaf to walls or ceilings can create a striking feature in any interior. Ribbon Leaf can help get the job done quickly and with more precision. Learn more and purchase Ribbon Leaf now. Painted Marble Finish - Learn how! 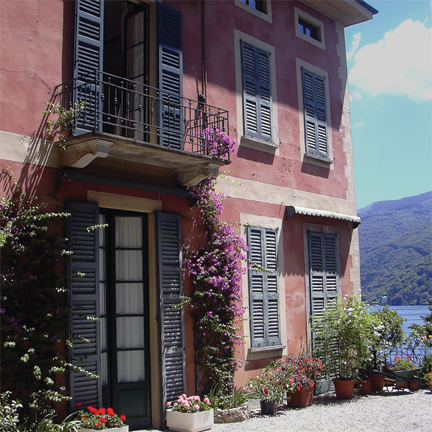 In Italy, the word marble is synonymous with Carrara, after the great marble quarrying region in the north of the country. Through centuries marble has enhanced interiors world wide. 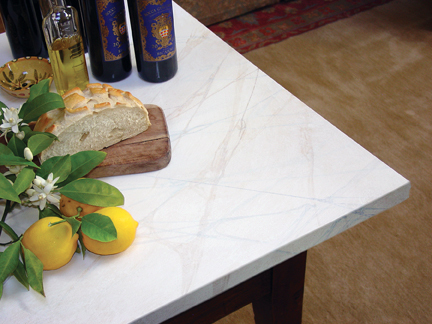 Creating the impression of real marble in your home can quickly elevate the presence of any furniture or object. 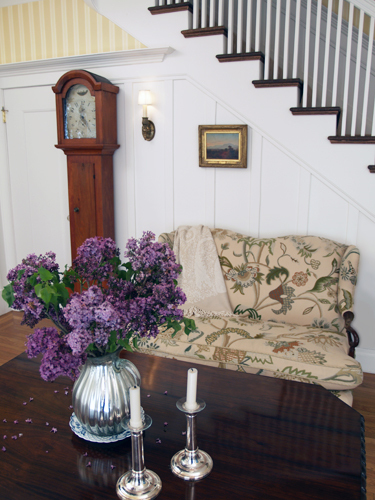 It adds interest and charm and transforms everyday objects into heirlooms. I’ve chosen this painted white marble because of its rustic simplicity. 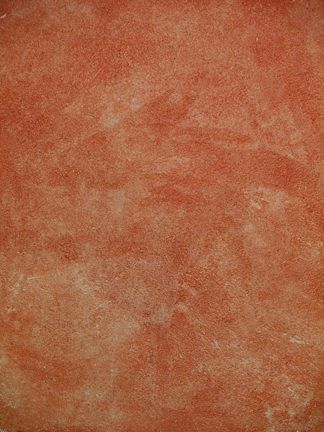 Yet it illustrates the foundation for creating a variety of marble types, your imagination being your only limitation. For picking up loose gold leaf from a gilders cushion/pad or direct from the booklet and transferring to the object being gilded. Single tips are used for gold leaf work. 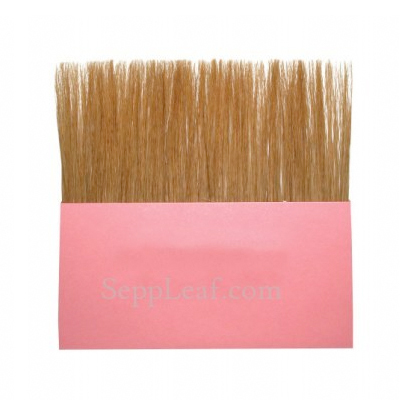 Gilding Tip A wide Blue Squirrel hair brush used for lifting or applying genuine leaf to the artist's surface. Tips are available in a range of widths and lengths all having cardboard handles. Tips are manufactured in two weights, single and double, with the double tip having more hairs. Single tips are used for gold leaf work. Double tips are generally used to pick up heavier leaf such as genuine silver, platinum and metal leaves. Blue Squirrel Hair - Single - 2 1/2" width x 2" Length - German 2 1/2"
Blue Squirrel Hair - Single - 3" width x 2" Length - German 3"
Blue Squirrel Hair - Single - 3 1/2" width x 2" Length - German 3 1/2"
Blue Squirrel Hair - Single - 4" width x 2" Length - German 4"
Gilding Tip Finest quality Pure Sablel hair brush used for lifting or applying genuine leaf to the artist's surface. Available in a 3.5" width with a cardboard handle. Pure Sable Hair - 3 1/2" width x 2" Length - France 3 1/2"
Double tips are generally used to pick up heavier leaf such as genuine silver, platinum and metal leaves. 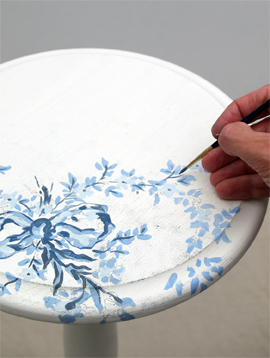 Gilding Tip A wide Blue Squirrel hair brush used for lifting or applying genuine leaf to the artist's surface. Tips are available in a range of widths and lengths all having cardboard handles. Tips are manufactured in two weights, single and double, with the double tip having more hairs. Single tips are used for gold leaf work. Double tips are generally used to pick up heavier leaf such as genuine silver, platinum and metal leaves. Blue Squirrel Hair - Double - 2 1/2" wide x 2" Length - German 2 1/2"
Blue Squirrel Hair - Double - 3" wide x 2" Length - German 3"
Blue Squirrel Hair - Double- 3 1/2" wide x 2" Length - German 3 1/2"
Blue Squirrel Hair - Double - 4" wide x 2" Length - German 4"
Gilding Tip Made in France. 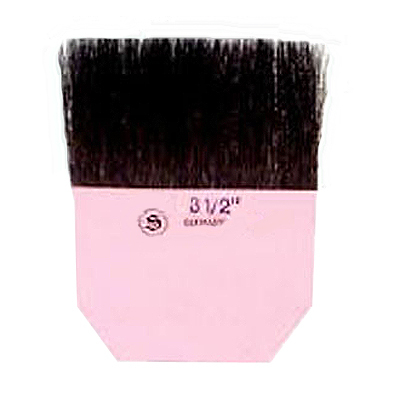 A wide Squirrel hair brush used for lifting or applying genuine leaf to the artist's surface. Tips are available in a range of widths and lengths all having cardboard handles. Tips are manufactured in two weights, single and double, with the double tip having more hairs. Squirrel Hair - Single - 3" width x 2" Length - French 3"
Squirrel Hair - Single - 3.5" width x 2" Length - French 3.5"
Gilding Tip Made in France. 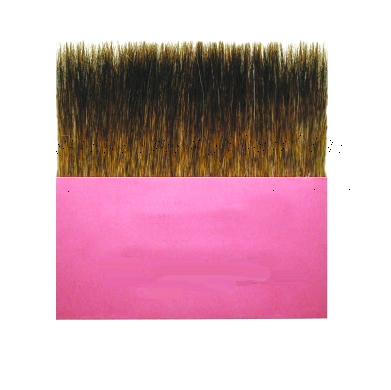 A wide Squirrel hair brush used for lifting or applying genuine leaf to the artist's surface. Tips are available in a range of widths and lengths all having cardboard handles. Tips are manufactured in two weights, single and double, with the double tip having more hairs. Single tips are used for gold leaf work. Double tips are generally used to pick up heavier leaf such as genuine silver, platinum and metal leaves. Squirrel Hair - Double - 3" width x 2" Length - French 3"
Squirrel Hair - Double - 3.5" width x 2" Length - French 3.5"